Successfully admitted candidates should log in to the JAMB website, click on CAPS to check their admission status, and click on accept/reject button to either accept or reject the offer. Admitted candidates who have not accepted their admission on the JAMB website (CAPS) should do so latest by Thursday, October 25, 2018, or the admission will be withdrawn. 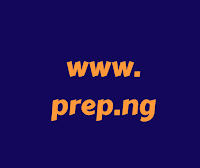 Candidates who will not be below 16 years of age by October 31st, 2018 need not proceed with RegistrationNo candidate can be offered admission EXCEPT O’level result(s) have been successfully uploaded on JAMB website (CAPS). ALL candidates not yet admitted SHOULD, therefore, upload their O’level result(s) at UNIPORT ICTC or any accredited JAMB CBT centre on or before Friday, October 26, 2018.